The Philadelphia Eagles headed into the offseason with a need for speed at the wide receiver position. They added to that niche with the signing of Mike Wallace earlier in the free agency sweepstakes and have now inked another burner on the outside. 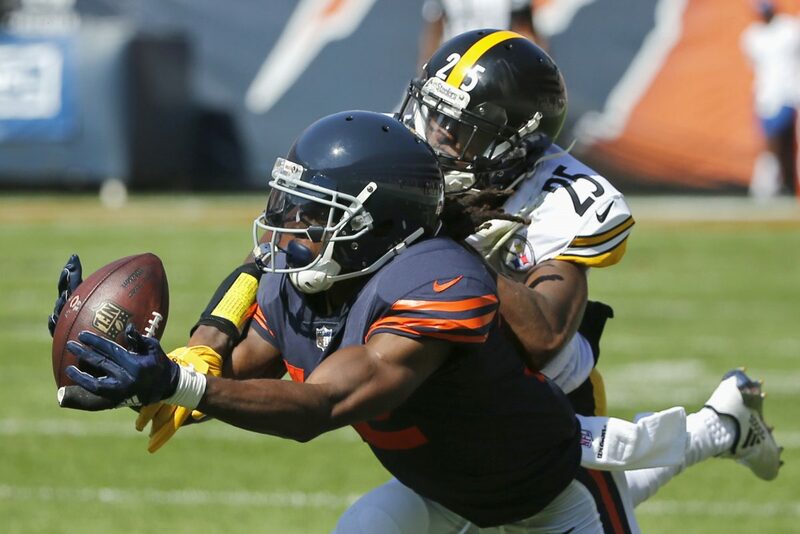 The Eagles came to a one-year agreement with wide receiver Markus Wheaton on Wednesday. Wheaton, who has only tallied seven receptions the last two seasons, did find success with the Pittsburgh Steelers in 2014 and 2015 when he accumulated 644 and 749 yards receiving, respectively. The 27-year-old is mostly a speed specialist that struggles with physicality and creating yards after the catch. He was with the Chicago Bears last year. Philadelphia has a quartet of wideouts who appear to be locks to make the team in Alshon Jeffery, Wallace, Nelson Agholor and Mack Hollins, but who will fill the last two spots? Shelton Gibson made the squad last year as a rookie, but was unimpressive and basically has the same skillset as Wheaton. Bryce Treggs, Greg Ward, Rashard Davis and Marques Wilson are also other options to make the 53-man roster. Here’s the way I look at it, if Gibson struggles again and doesn’t show improvement, Wheaton makes the team. If he does, Wheaton will be looking for another job come August and September. You can follow Adrian Fedkiw on Twitter (@AdrianFedkiw) and e-mail him at amfedkiw@yahoo.com. Subscribe to The Bitter Birds on YouTube here. Follow Philly Influencer on Twitter (@PHL_Influencer), Facebook and Instagram.